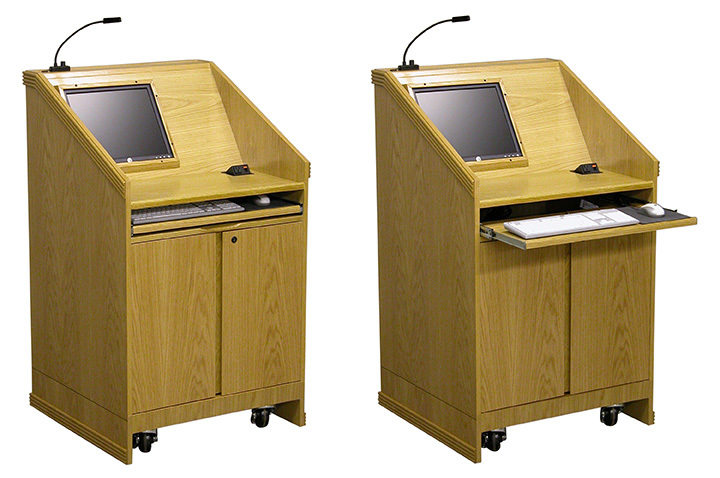 Arnold Contract can manufacture lecterns and podiums to meet yout specific needs. Multi-Media Lectern Contemporary Multi-Media Lectern. 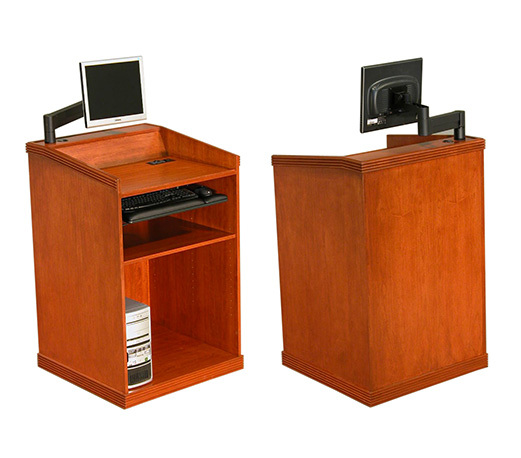 Features locking double doors, pull-out keyboard tray, built in monitor, task light, power and data options and semi-hidden casters. 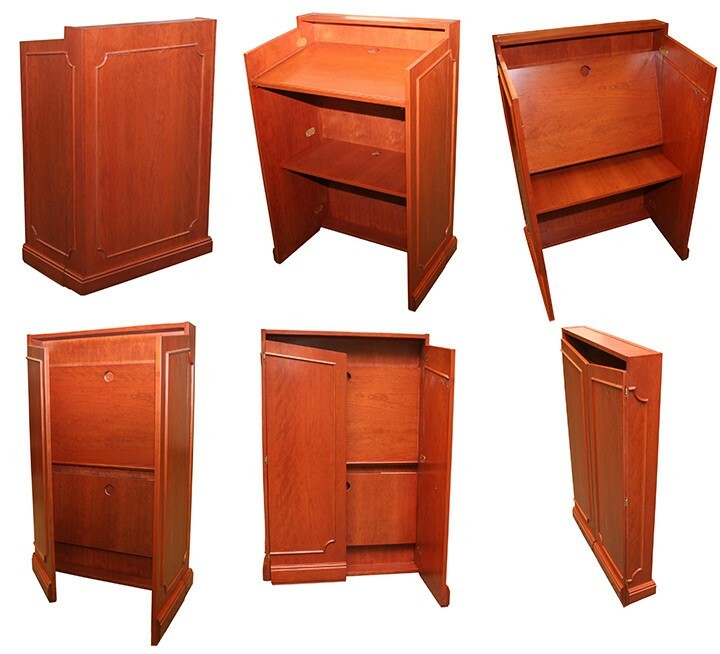 Is available in various styles and finishes. Queen Anne Lectern Queen Anne Lectern. 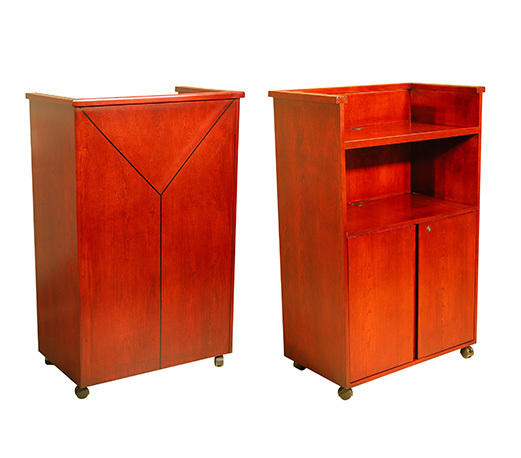 Standard with double doors, traditional detail and shoe molding. 2" FE traditional edge. 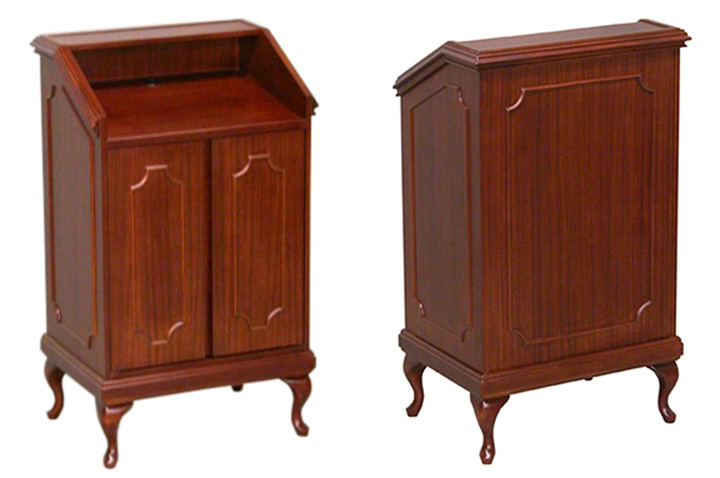 Includes adjustable shelf and 6" High Queen Anne Legs. When calling the factory, please reference: VFLT-QA. 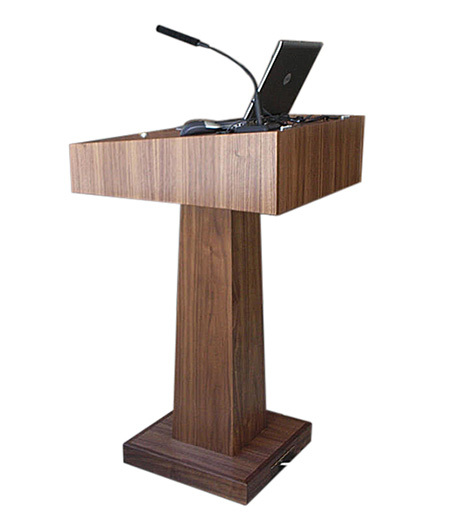 Patented Folding Lectern Available in All Species of Veneers and Woods. 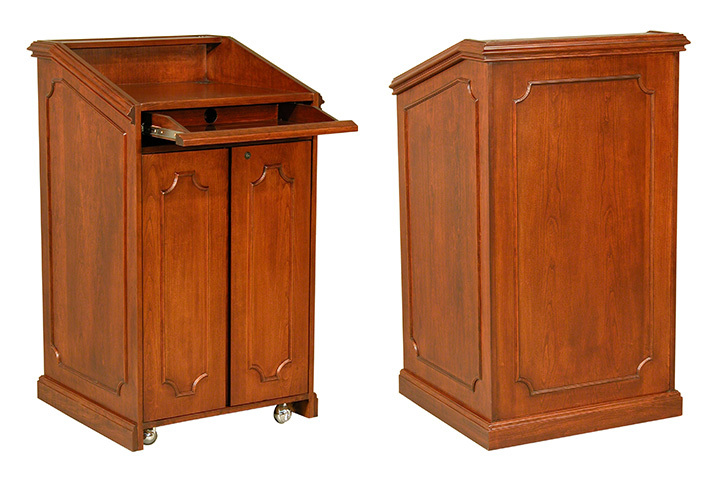 Also available in Traditional, Transitional and Contemporary Styles. 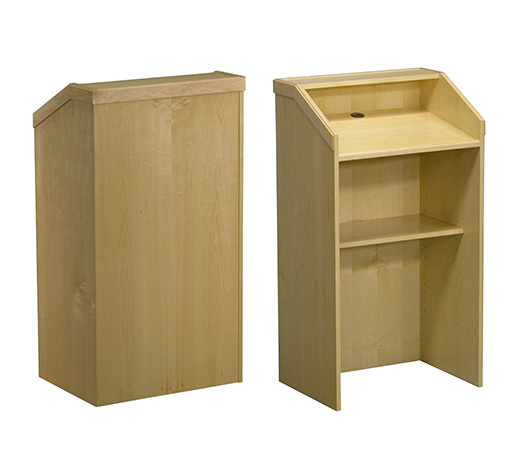 The Folding Lectern is ideal for any presentation or conference area where space is at a premium. 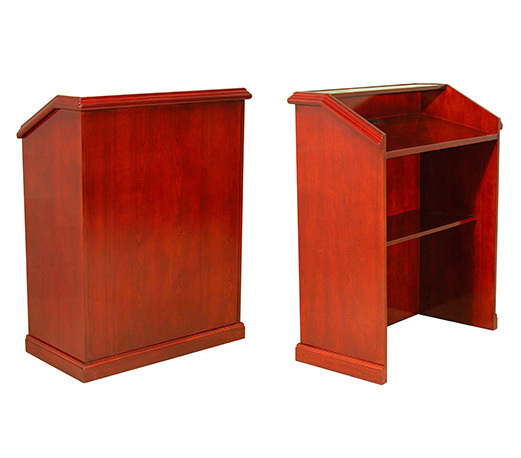 An excellent space saving idea and offers all the same advantages of a rigidly built lectern. 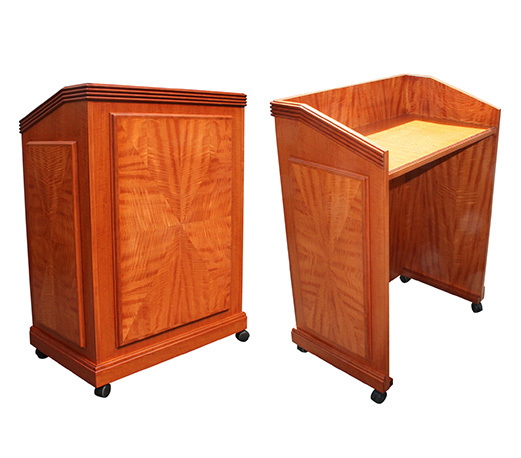 Media Presentation Traditional Style Media Presentation Lectern. 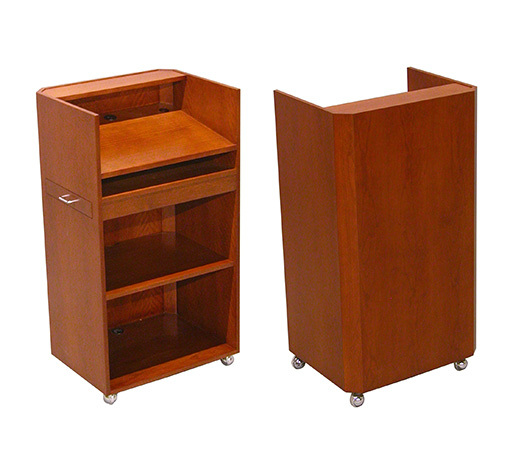 Includes detail molding, shoe molding, locking doors, a pull out keyboard drawer, various grommets and semi hidden casters. 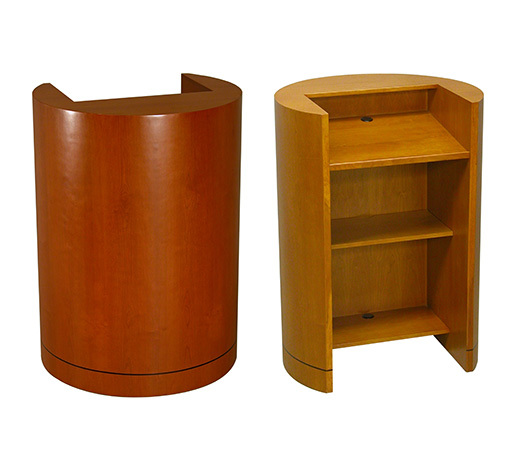 Available in various styles and finishes. 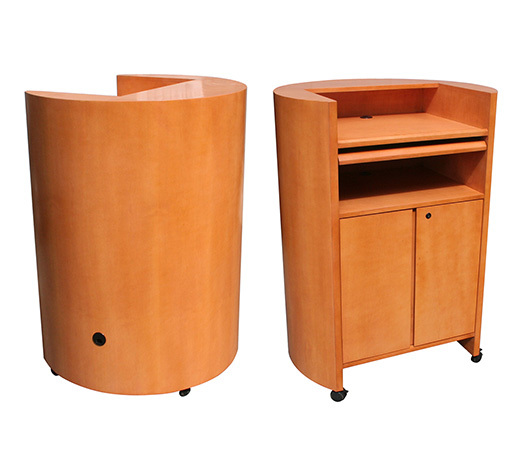 Contemporary “Wedge” Lectern Contemporary "Wedge" Shape Lectern. Maple veneer body with black stained worksurface and platform. Includes two shelves and 2 self pull doors. 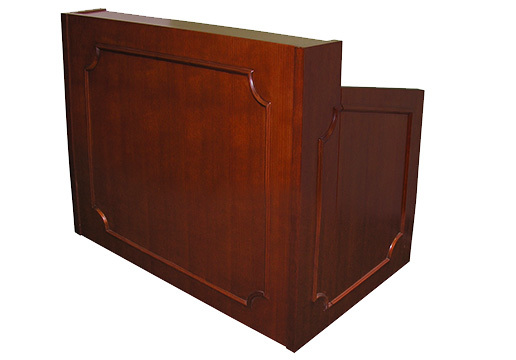 Desktop Folding Lectern Arnold Furniture Manufacturers Inc. would like to introduce you to the Patented Table Top Folding Lectern. Available in All Species of Veneers and Woods. Also available in Traditional, Transitional and Contemporary Styles. 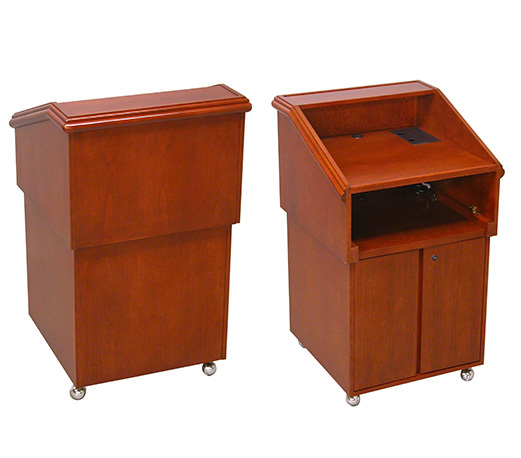 The Folding Lectern is ideal for any presentation or conference area where space is at a premium. 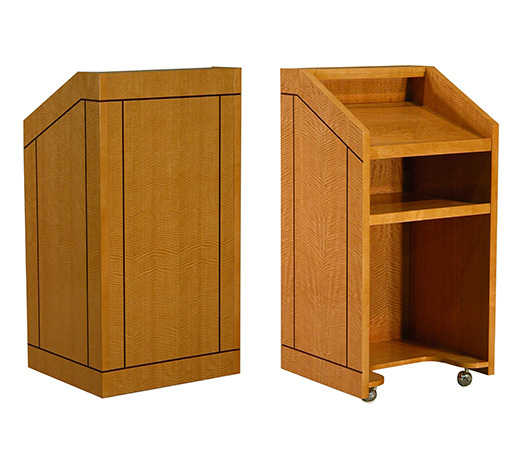 An excellent space saving idea and offers all the same advantages of a rigidly built table top lectern. 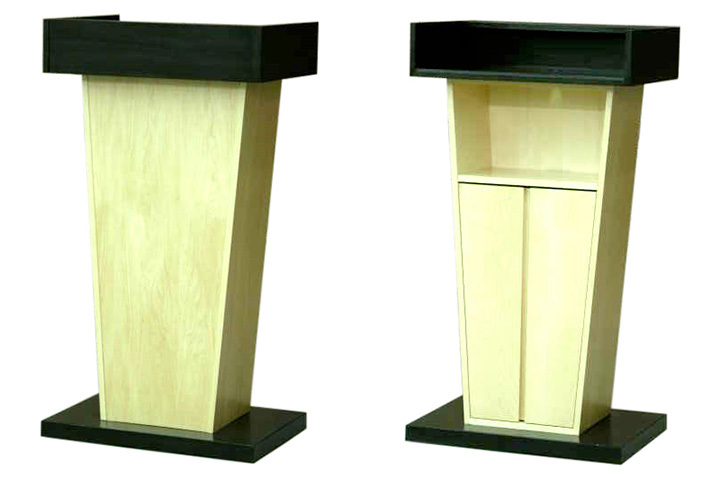 Contemporary "Block" Lectern. 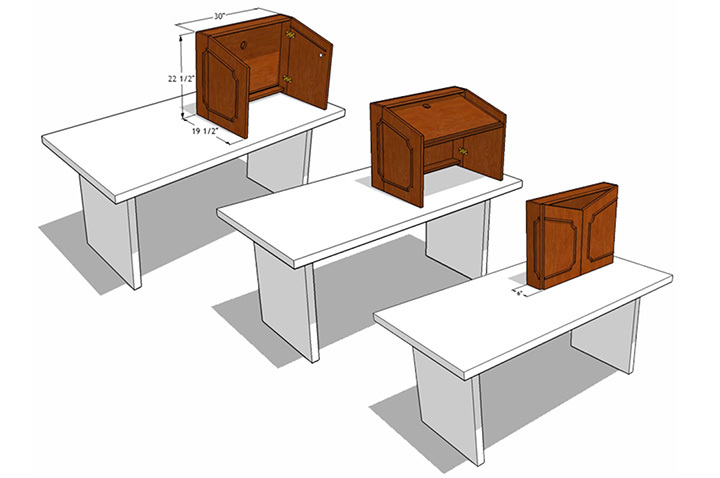 Includes a locking lid, with storage, wire management, with grommets that can be passed through the main column to the floor. Is also available in various finishes and styles. 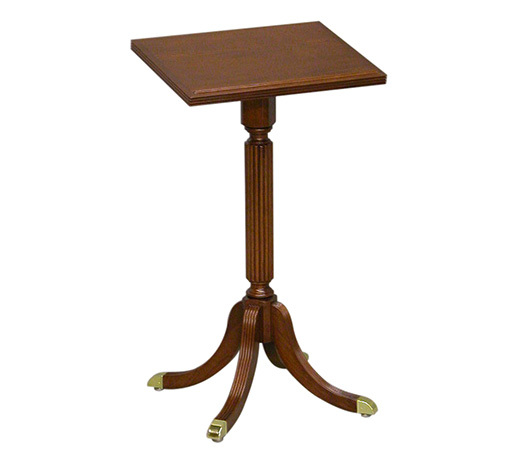 Duncan Phyfe Pedestal 24" W x 18" D x 43" H. Features brass toe caps, and a 1.25" Reeded Edge. 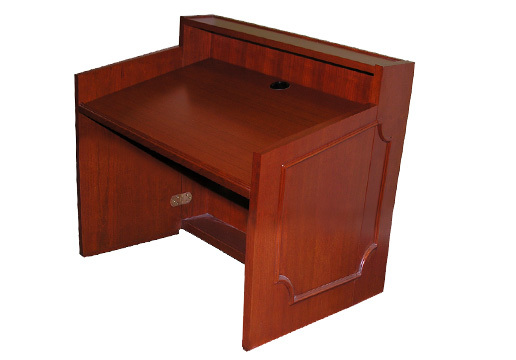 Available in Cherry, Mahogany and Walnut finishes. When calling the factory, please use reference: FVFLP-DP.